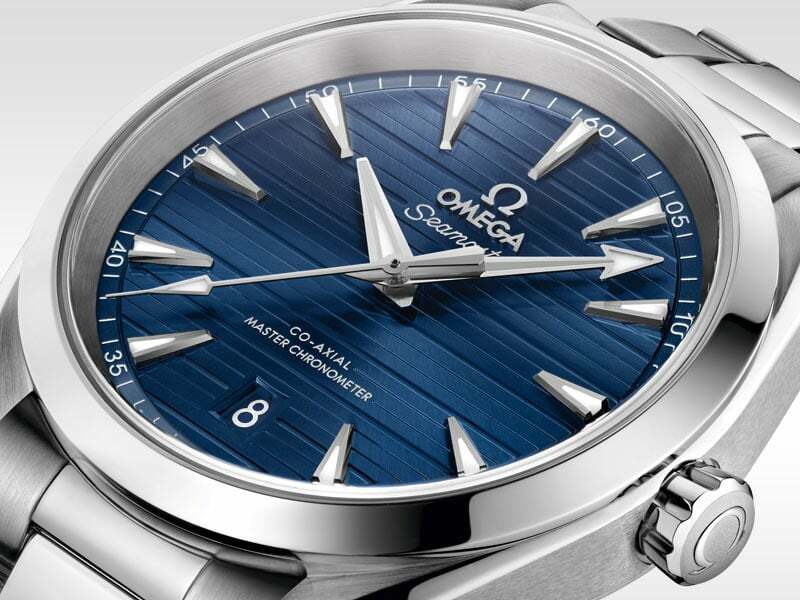 OMEGA's Seamaster Aqua Terra has always provided the perfect balance between sophistication and ocean spirit. 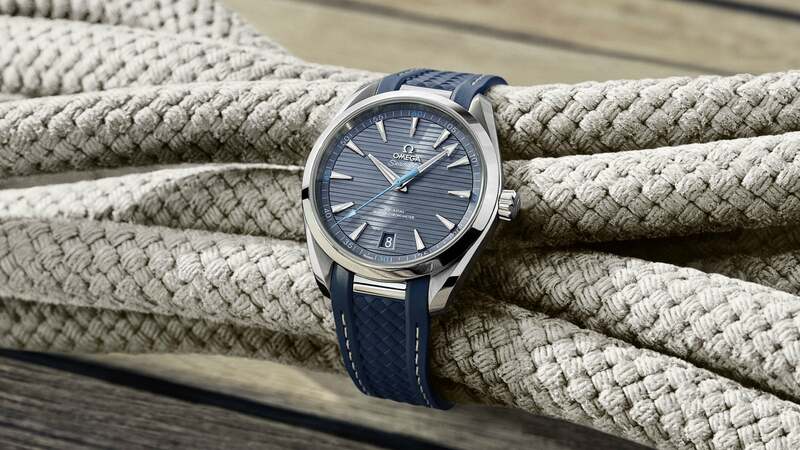 In the new collection some of the most popular features have been enhanced or subtly transformed to give the timepieces a refreshing new look. Changes have taken place inside too. The collection's new Master Chronometer movements offer extraordinary levels of magnetic resistance. To bring a sense of balance, the cases of these Aqua Terra models have been reshaped with a new symmetrical design, slightly different from previous versions. 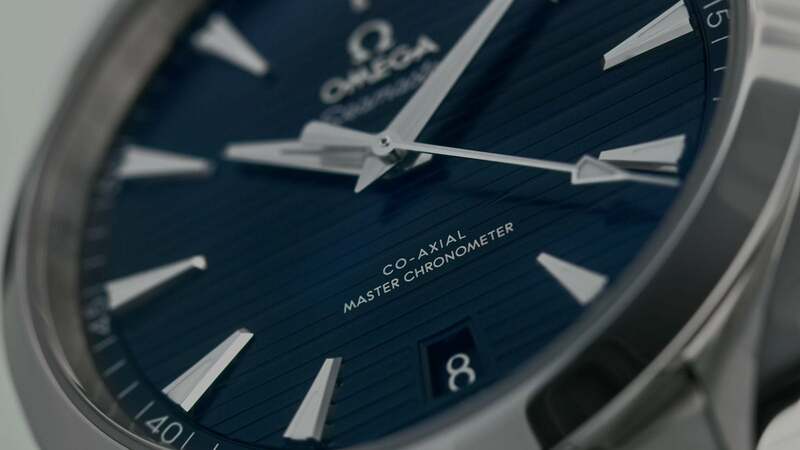 To further this idea, the date window has been moved from 3 to 6 o'clock, just like the very first OMEGA watch with a date window which was released in 1952. 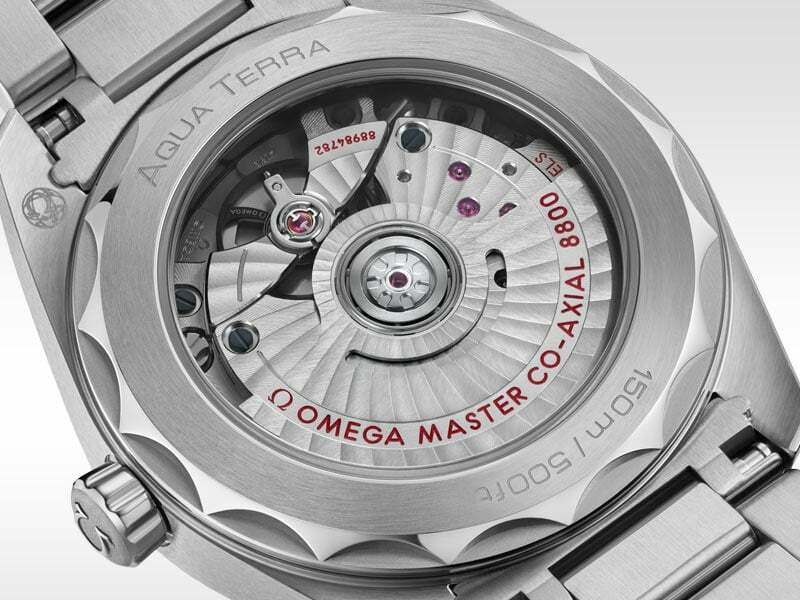 If the new Aqua Terra 150 m dials appear cleaner and simpler, that’s because OMEGA has taken away the “water-resistance” wording and engraved it on the caseback instead. 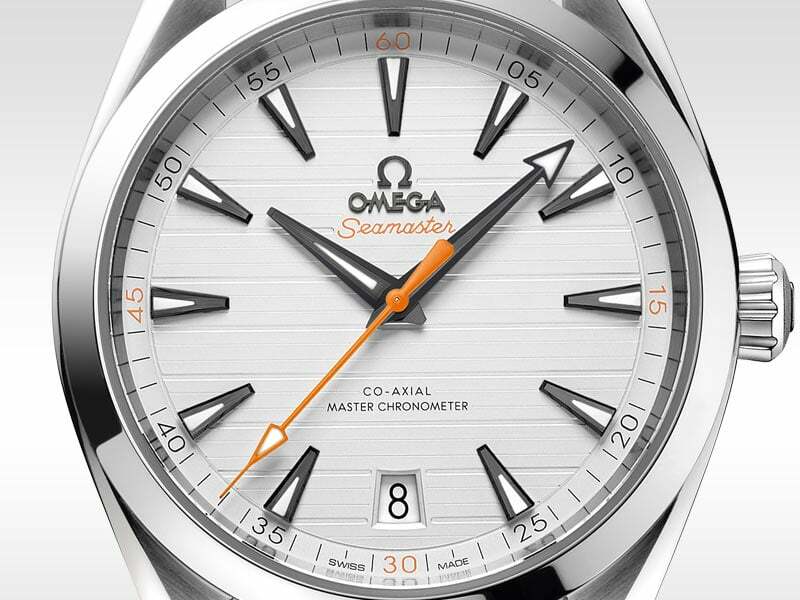 A new conical crown completes the attractive makeover, inspired by the wave-edge design found on the caseback. 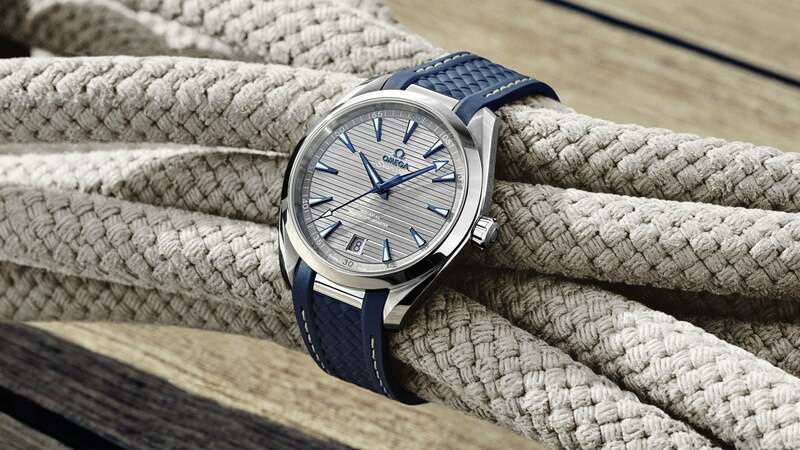 Modelled after the decks of luxury yachts, the teak dial of the Aqua Terra 150 m is one of the watch’s most defining features. For this collection, the lines now run horizontally, as opposed to vertically, as they have done on previous models. 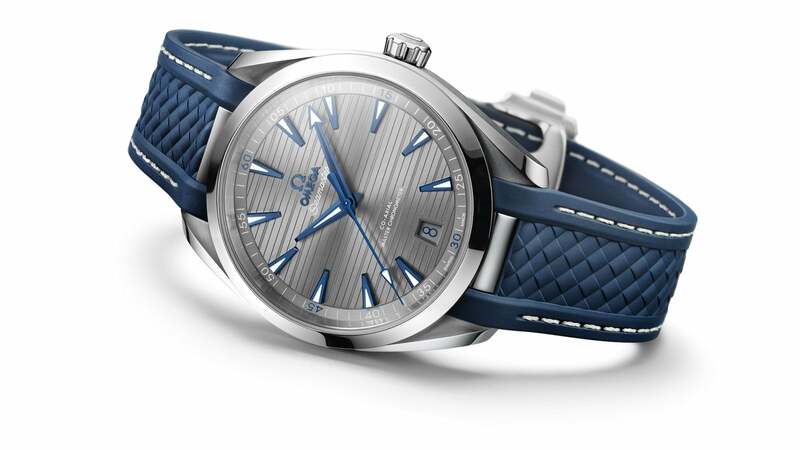 Through the sapphire-crystal caseback, you can see the OMEGA Master Chronometer calibre 8900, 8901 or 8800. All three movements have reached the highest level of precision, performance and magnetic resistance as approved by METAS. 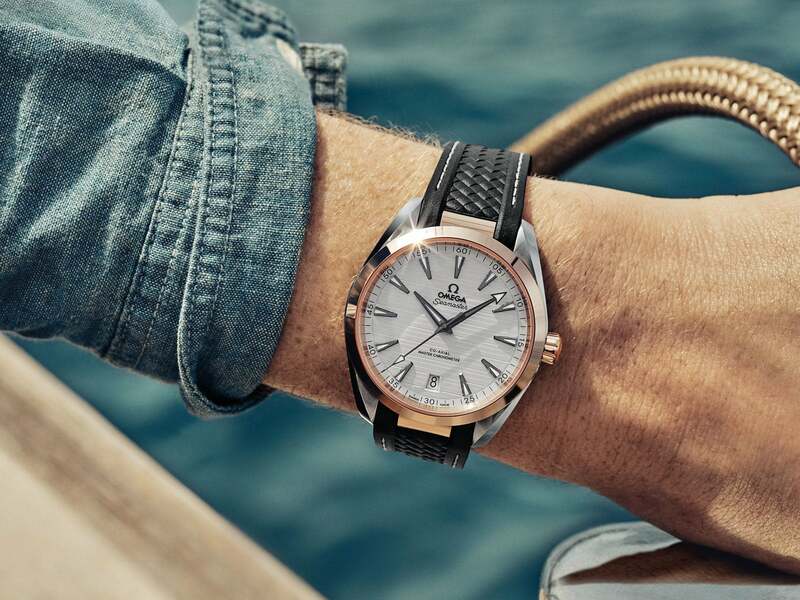 OMEGA's improved integration between metal bracelet and case not only improves the look, it provides a better fit for wearers with slim wrists. 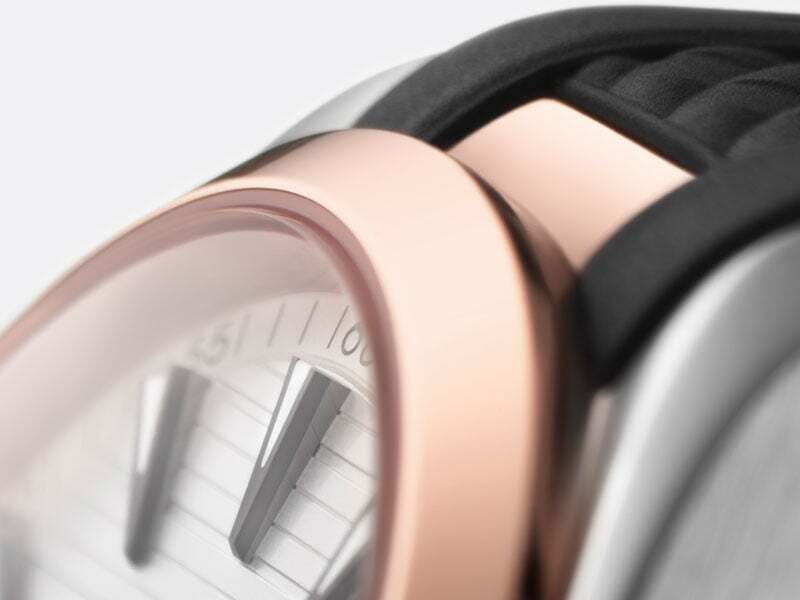 On some models, a new rubber strap has been merged into the design of the watch by a stainless steel or 18K Sedna™ gold link. Cased in stainless steel, 18K Sedna™ gold or a mixture of both, the Aqua Terra Gents' Collection offers an incredible choice of looks. 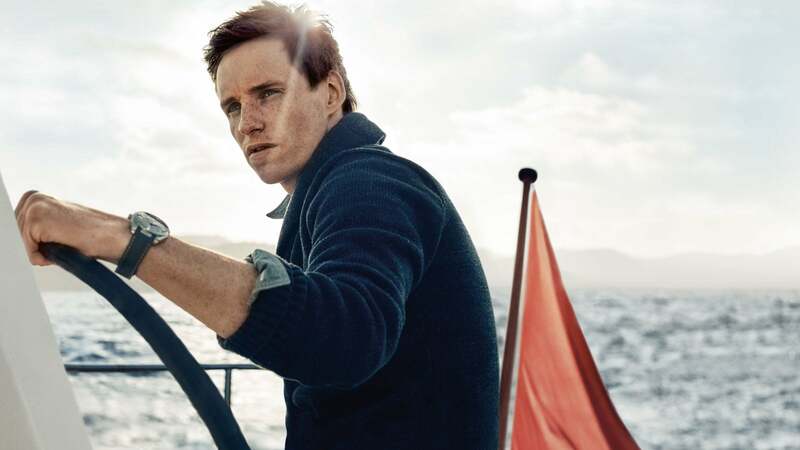 There are black, brown, blue, grey or silvery dials and a diverse selection of bracelets and straps, including steel, leather and structured rubber.